What does it mean to truly belong? And how do we build a world in which everyone belongs? Those were the guiding questions behind Dal 200’s Year of Belonging, which put discussions and debates about diversity, equity and inclusion front-and-centre during the university’s bicentennial celebrations. The year included Days of Action — in which students and others donated more than 5,000 volunteer hours ­— and Building Belonging Workshops to provide platforms for future discussion. But the core of the Year of Belonging was the Belong Forum series, which invited world-leading speakers to campus to discuss issues of belonging from a wide range of perspectives. Audiences turned out in large numbers to hear from the likes of disability activist Rick Hansen, renowned songwriter and activist Buffy Sainte-Marie and MIT historian Craig Steven Wilder. Making the Belong Forums extra special was the fact that several speakers were presented with honorary degrees at their events. The series also included the inaugural Viola Desmond Legacy Lecture, which will continue into future years. Below, revisit some of our coverage from the Belong Forum series, with extra reflection from members of the Dal community. 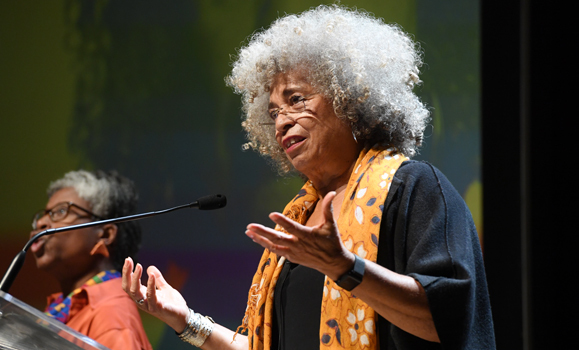 Dr. Angela Davis thrilled attendees at the first annual Viola Desmond Legacy Lecture in October, offering an impassioned and provocative lecture. 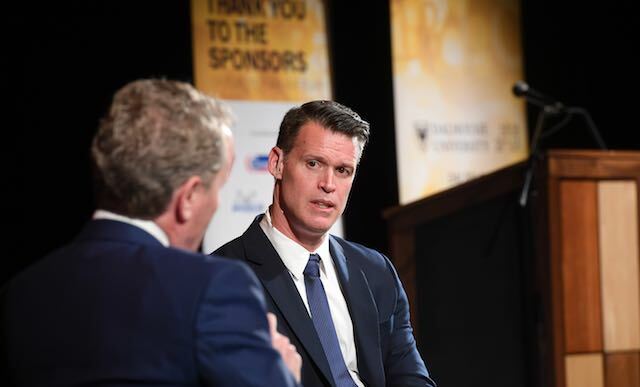 Held at Citadel High School in April, Mark Tewksbury's Belong Forum offered inspiring insights for teens and Dal community members alike. 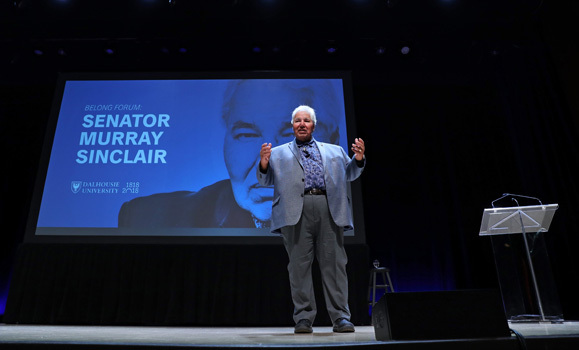 Senator Murray Sinclair, who chaired the Truth and Reconciliation Commission of Canada, took to the Rebecca Cohn stage in early September to talk about learnings and legacies. 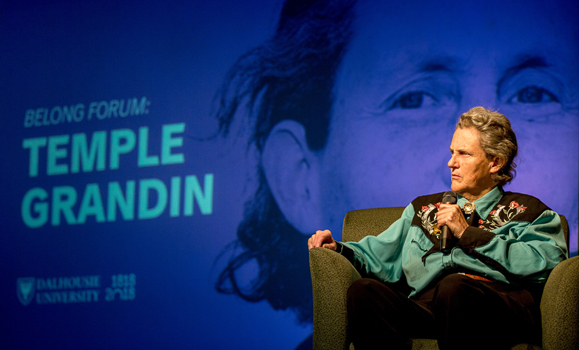 The Belong Forum series came to Dal's Agricultural Campus in late September with a famiiar face: world-leading animal scientist and renowned autism advocate Temple Grandin. Read more: Temple Grandin on "different kinds of minds"